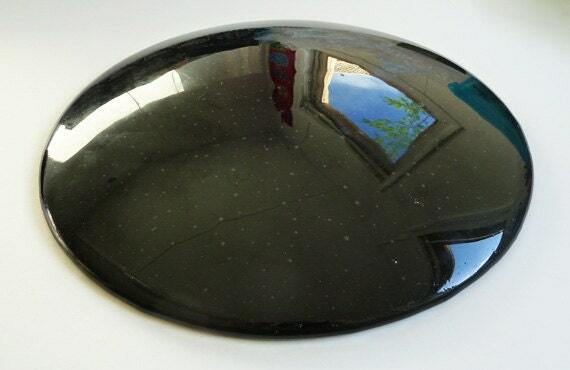 This is a heavy, solid bowl, made from black fused glass. 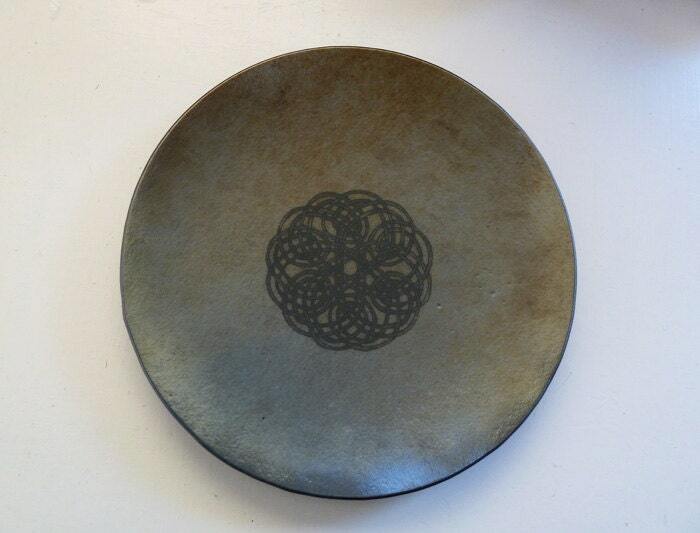 The top surface is lightly textured and has a metallic silver & bronze iridescent finish. 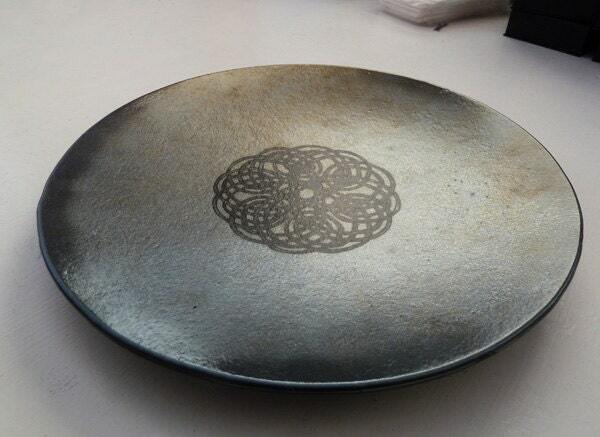 The circular knotwork pattern in the centre has been drawn by hand & then printed onto the surface of the glass. The base of the bowl has an almost mirror-like high gloss finish. It's about 30cm (12 inches) in diameter, and is fairly shallow. While it was made to be purely decorative, it's still fine to use in the kitchen with food, so long as you wash by hand carefully, and avoid the dishwasher. 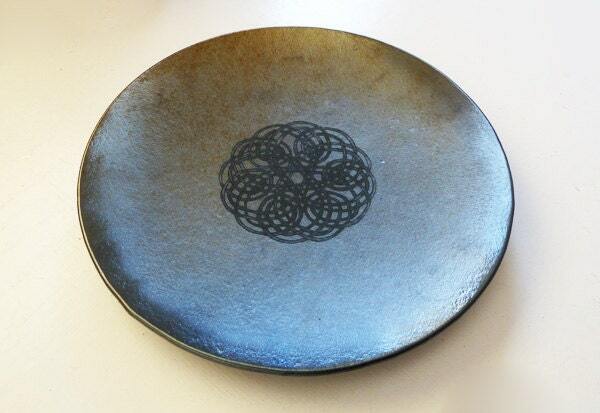 I'm also taking orders for similar bowls at the moment, in different colours. If you'd like something specific made for you, just let me know! They take about 2 weeks to be sent out.